EDMONTON, AB – A new brewery and restaurant founded by three local young couples has announced its soft opening in Edmonton. 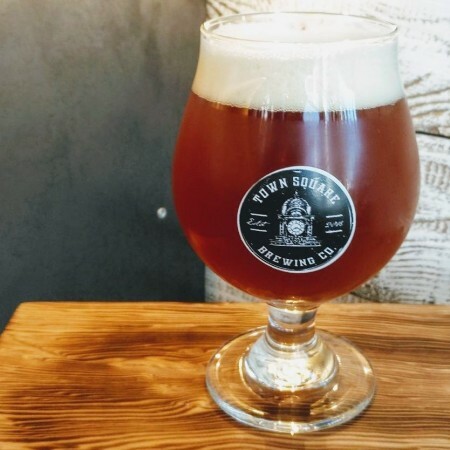 Town Square Brewing has been launched by Megan & Brandon Boutin, Katrina & Tyler McNaughton, and Mellissa & Sterling Nordin, with Drew Sinden and Logan Dommett taking care of the brewing. Located at 2919 Ellwood Drive, the establishment has been in soft launch mode for the last two weeks, offering growler fills and food including pizza, fresh pretzels, and other snacks during select hours. The official grand opening of Town Square will take place on the weekend of November 3rd-5th, at which point regular business hours will be confirmed. In addition, a portion of sales on select beers and pizzas will be donated to local charities. For more details including business hour announcements during soft opening, see the Town Square Brewing Facebook page.